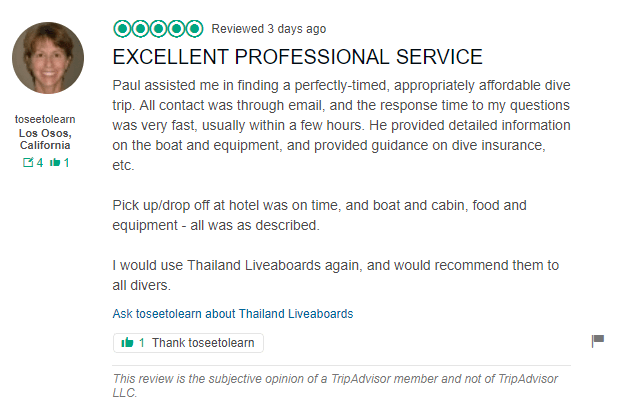 “Paul assisted me in finding a perfectly-timed, appropriately affordable dive trip. All contact was through email, and the response time to my questions was very fast, usually within a few hours. 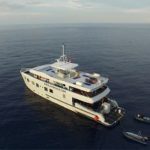 He provided detailed information on the boat and equipment, and provided guidance on dive insurance, etc. Pick up/drop off at hotel was on time, and boat and cabin, food and equipment – all was as described.